When Sunja falls pregnant by a married yakuza, her family faces ruin until a Christian minister offers her a chance for a new life in Japan as his wife. Leaving her parents and her home in Korea with a man she barely knows, Sunja’s second chance in life in a hostile country will be nothing like she suspects. Spanning from 1910 to 1989 Pachinko follows four generations of one family. This allows you to get to know characters from birth, through their turbulent lives and, to some characters, their death. While some parts of the story are an uninterrupted narrative and you follow the family for a number of consecutive years, other parts jump forward in time and a character that was teenager is now an adult. This makes it sometimes difficult to connect with the characters. I found Pachinko a bit slow to start with as I got used to the setting and the socio-economic politics presented that I was unaware of beforehand. After a while something clicked for me with this book as I was pulled in by this family and how global events shaped their lives. These characters in Pachinko feel very real. They’re often a victim of their own circumstance, they are sometimes sympathetic, they can be frustrating and unlikable, just like real people. Sometimes they are presented with a difficult decision and really there’s only one option they can take, on the most part you understand their choices and motivations, while with others it’s not so clear. I liked how this was the story of a family of immigrants and you got to see what life was like for Koreans who moved to Japan. Pachinko shows there was a lot of distrust on both sides due to the Japanese conquering Korea and their actions during the two World Wars. For decades, the Japanese see the Koreans as second-class citizens, and even if someone is born in Japan, they do not automatically become a Japanese citizen, even though Japan is the only home they know. Pachinko shows how all of this affects the different members of the family in different ways, how over time some things change and get better, while others do not. At over 500 pages, Pachinko is an intimidating read but the writing style is simple and accessible, meaning once I’d connected to the characters I got pulled along with their story. 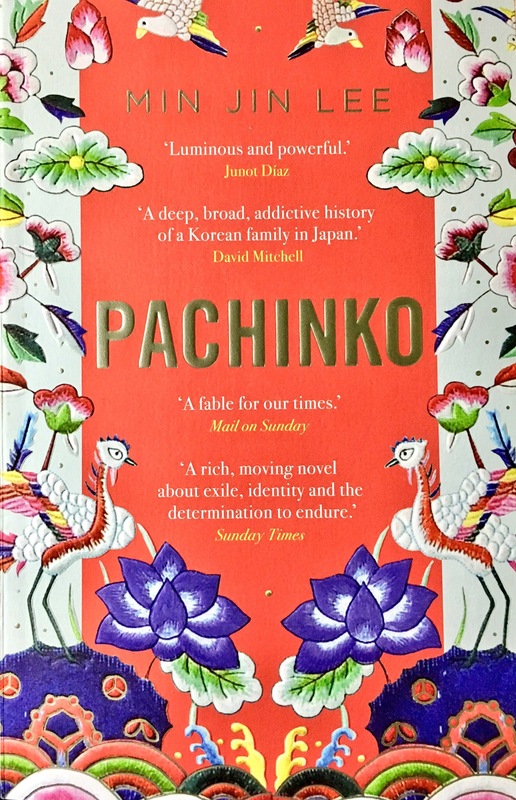 Pachinko offers an insight into life in Japan for Koreans and it presents the idea of what or where is truly home. It’s all about family and belonging, how family may not always be who you’re related to by blood and how home can mean different things to different people. 4/5.